Using her feminine grace, Queen Esther convinced the decadent King Ahasuerus to avert a plot to murder all Jews in ancient Persia. Noticing many similarities between parties described in the Biblical story of Esther and nightclub raves, Orit painted Queen Esther as "Queen of Nightlife". The world of Ahasuerus and the world of nightlife both glorify beautiful women, drinking, and hedonism. 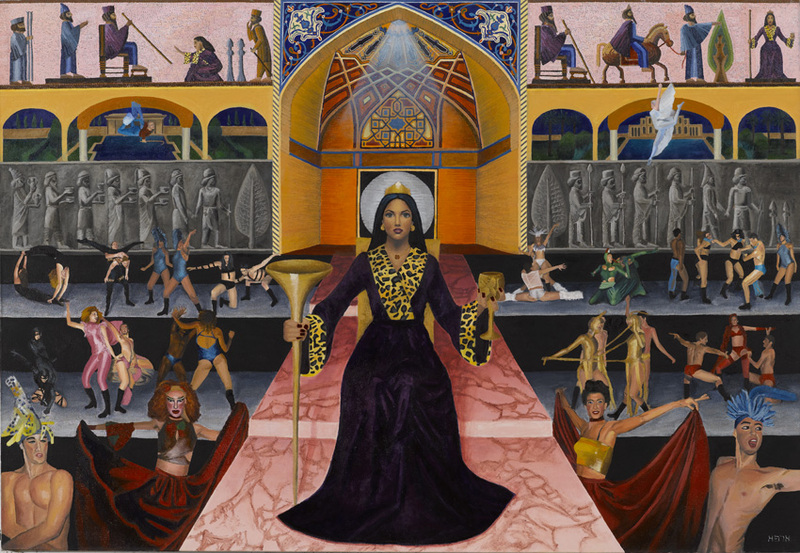 The painting combines iconic images from ancient Persian architecture with images from the contemporary nightclub. 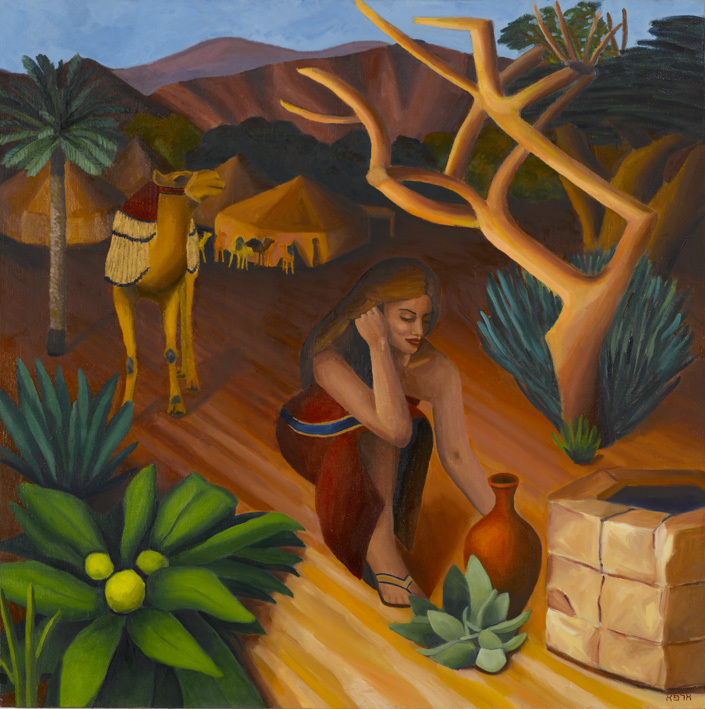 Orit's first Biblical painting portrays the Biblical heroine Rebecca as she draws water from the well to give to Abraham's servant, who was sent to find a suitable wife for his son Isaac.